Founded in 1996, the Tharaka Women’s Welfare Project in Gatunga, Kenya, was designed to educate girls on the health risks of female genital mutilation through monthly meetings and an annual Alternative Rite of Passage. 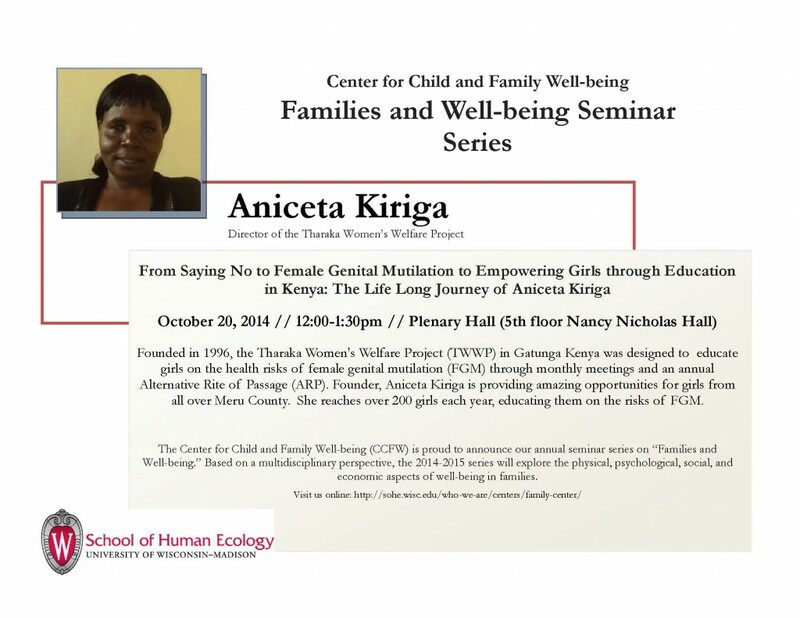 Founder Aniceta Kiriga is providing opportunities for girls from across Meru County, reaching 200 girls each year and educating them on the risks of genital mutilation. The talk is part of the Center for Child and Family Well-being “Families and Well-being Seminar Series.” To learn more, visit wohe.wisc.edu/who-we-are/centers/family center/.